At Hanifin’s Arts and Antiques we regularly provide appraisal services. We often are asked by insurance customers or insurance companies to determine the values of antiques, art and other personal property. We have been very successful in helping establish the values of objects that have been lost or damaged. In determining the values of objects we sometimes establish the fair market value of an object or the replacement value of an item. The fair market value is usually about one-half of the replacement cost. The replacement cost is the value that insurance companies use in determining how much you should insure you coin collections, paintings and other valuables. The fair market value of an object is how much money you can get for an object in open market in a relatively brief period. Michael Robbins(me) is the owner of Hanifin’s Antiques and I am the prime appraiser. 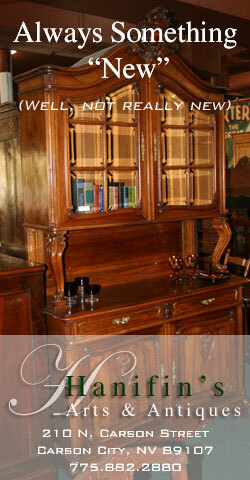 I can visit your home and give a written appraisal of your antiques, art and other personal property. Often I will make a digital record of your possessions on a CD disc made of your photos. You can store your photos and written evaluations in a safe place in case of loss. I will also give you a written statement detailing your valuables. The rate for these services is $60.00 an hour. Much of the time involved in writing an appraisal is in the research especially for rare and expensive antiques. Due to the fact that we monitor dozens of auctions and websites that sell antiques we have a good general knowledge of antique values. So, our experience will save you time and money. If we don’t have immediate knowledge of your items value we can often consult with our colleagues to determine a close approximation of value.